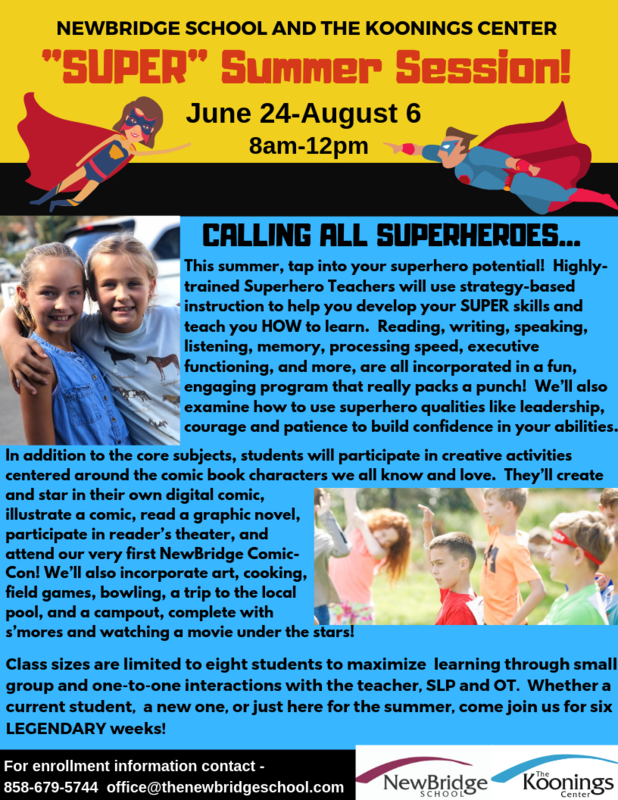 NewBridge School and The Koonings Center offer a 6-week Summer Program from late June – early August for current students, potential students, or students joining for summer session only. Our summer program is designed to help students continue to move forward with their skills over summer, rather than playing catch-up in the fall. Most students regress when they take 2+ months away from academics, and feel frustrated when they return to school. This program was borne from the desire to combat this frustration while having lots of summer fun! Each summer we develop units around a central theme, such as “STEM”, “art,” or “baseball,” and incorporate fun, creative activities based on the theme. Our core academics, in addition to speaking, listening, memory, processing speed, executive functioning, and more, are all incorporated in this fun, engaging program. 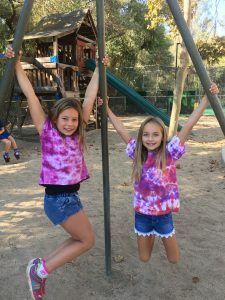 Some of our activities include, art, cooking, bowling, drama, field games, a trip to the local pool and a campout, complete with s’mores and a movie under the stars! Class sizes are limited to 8 students to maximize learning through small group and one-on-one interactions with the teacher, SLP and OT. **For questions and enrollment, please use the inquiry form in the contact tab. New families must complete our review process in order to be considered for open seats. Seats are limited and our current students are given priority.